Established in 1979, Brown and Crouppen law firm is known the most for their specialization in personal injury cases. They are operating in a number of different areas of the US, which include Missouri, Illinois, and Kansas City majorly. The firm was founded by Terry Crouppen and Ron Brown back in the days and has now expanded into a workforce of more than 100 attorneys. Brown and Crouppen law firm is the best in handling personal injury cases, medical malpractice, social security disability, and workers’ compensation claims. Brown and Crouppen law firm has 7 offices located within the United States. It aims at not only assisting clients in their personal injury or accident claims but also visions an improved community which is why they invest significantly in community work. Team members of the firm are encouraged to do community work and are given the liberty to do so in any manner they see fit. The law firm believes in offering their clients the best of their services; therefore, at times, if there is a client who needs a unique representation which is offered in another office of the law firm, they are referred to that branch to make sure the quality of work is not compromised. Brown and Crouppen law firm gives more value to quality of services offered to the client other than merely winning the case or dragging it with the intention to make money. Clients of Brown and Crouppen law firm have the edge of meeting their lawyer at any time of the day without even making an appointment. They can just dropping by at the office and discuss their concerns regarding the case. Client service is one of the most important components of the firm. The firm handles claims of different types of injuries such as accident, defective products, drugs, wrongful death, premises liability, worker compensation, and medical malpractice. Brown and Crouppen law firm has been tagged the “Winningest Plaintiff Law Firm” for 2010 according to the Missouri Lawyers Weekly. Q:What awards has the Brown and Crouppen law firm received? A:Throughout its 33 year old existence, the Brown and Crouppen law firm has collected a number of honors and awards. The firm has received an A+ rating from the Better Business Bureau. Brown and Crouppen law firm has also received Missouri Lawyer Awards and have had a number of their lawyers mentioned in The National Trial Lawyer 100 list. It is the member of the Million Dollar Advocates Forum and has been ranked favorably in the Missouri Lawyers Weekly Readers Poll in 2010.  Q:Which practice areas does Brown Law Office specialize in? A:Brown Law Office specializes in multiple personal injury areas. Its focus is mainly on helping victims of abuse, crime, and violence. Following mentioned are a few major practice areas Brown Law Office specializes in: personal injury, motor vehicle accidents, workers compensation, defective products, dangerous drugs, medical malpractice, social security disability, and premises liability. The firm has hired a number of specialist attorneys that provide expertise services and legal consultation for victims of injury. Q:Can Brown law firm help me if I have suffered because of a defective product? A:The Brown law firm has extensive experience and covers a number of areas in defective product cases. The attorneys at Brown law firm specifically deal with airbag defects, defective contact lenses, defective household products, Enfamil infant formula, industrial equipment defects, toning shoes, defective power tools and vehicle recalls. The Brown law firm has been able to secure a number of favorable verdicts for its clients in these cases. Q:What areas of medical malpractice do Brown and Crouppen cover? A:Brown and Crouppen extensively cover a number of areas in medical malpractice. Some of the areas covered by this firm are medical negligence, emergency room malpractice, gastric bypass malpractice, pharmacy malpractice, cancer misdiagnosis, heart attack misdiagnosis, nursing home abuse, cerebral palsy, birth injuries and failure to diagnose spinal meningitis. The attorneys at Brown and Crouppen have extensive experience in the above mentioned areas of medical malpractice.